Amazon released their hot Kindle Fire back in November 2011 but it never loses is speed of selling rate yet. Because it’s a capable and powerful Android tablet with a cheap price tag in front. Amazon Kindle Fire one of the best tablets in 7-inch criteria till now. It has a powerful dual-core 1GHz Cortex-A9 processor with 512MB of Ram and 8GB internal storage. Unfortunately there is no other way to increase the memory because of no memory card slot. Wi-Fi is the only way to connect to the internet on Kindle Fire. Ohh I forgot to tell one thing. Amazon Kindle Fire has awesome display with IPS (in-plane switching) technology and anti-reflective treatment. Its 7-inch display resolution is 1024 X 600 at 169 ppi, 16 million colors. Customized Android 2.3 Gingerbread powers the device for you. Kindle Fire battery Life is 8 hours of continuous reading or 7.5 hours of video playback, with wireless off. Fully charges in approximately 4 hours, it also supports charging from your computer via USB. 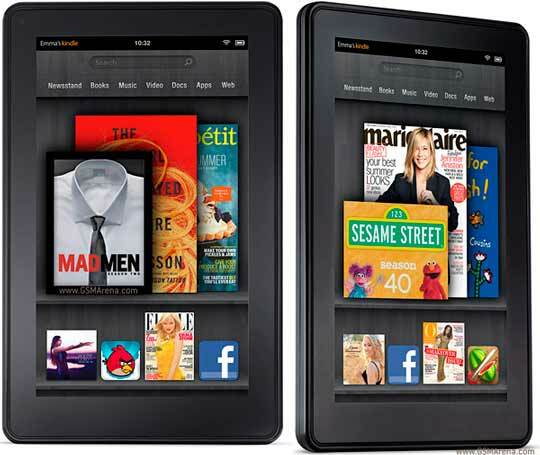 In Bangladesh price of Amazon Kindle fire is slightly higher than international market because of high import cost. Many stores selling Kindle Fire for 23,800 taka which is almost $290. If you are in US and obviously Amazon is the best place to buy Kindle Fire. Because they are selling Kindle Fire only for $199 .